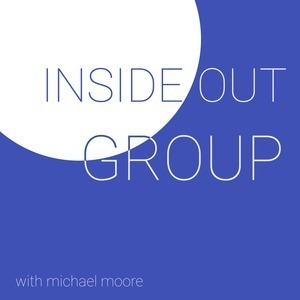 We found 10 episodes of Inside Out Group with the tag “business”. Easter is almost here. Hopefully you've been preparing for it. Once Easter is over thought, what do you do? How do you make sure all your heard work continue through your church? We've talk about what it's like to build your team, but when do you know if it's time to bring on someone new? Where do you start? How do you make sure that you make a good hire and further grow your team? A lot goes into planning your Easter experience and we can't cover everyone... or we don't think we can. We jump into the top 10 things that everyone goes through for their Easter experience in just half an hour. Try to keep up! Having a vision of your own is great, but what if you are working somewhere where they already have a solid vision? Does yours align? Does it help or hurt the church or organization? How you make sure your vision can help grow the church or organization? While communicating with your team and being a great leader is something we all need to strive for, it's hard to do any of that without really understanding you team. How do you work with them? How do they work with each other? What makes them succeed? What are the different personality types and why do they matter? You're not going to want to miss part 2 of this 2 part episode as our guest Shannon Howard really gets into the importance of understanding your team. While communicating with your team and being a great leader is something we all need to strive for, it's hard to do any of that without really understanding you team. How do you work with them? How do they work with each other? What makes them succeed? What are the different personality types and why do they matter? You're not going to want to miss part 1 of this 2 part episode as our guest Shannon Howard really gets into the importance of understanding your team. A team can't be a successful team without great communication. Communication between teams and employee will make or great an idea or even an organization. Amazing tools can help you get their, but nothing is better than having a team always looking for a way to communicate. Organization and in this case churches can have different climates. Some spiritual, some practical, but which one is the right way? Is there a right way? Join us as Michael dives into this topic.